Beginning today and running throughout the summer, CBC News will present an interactive, multi-platform series called Transformation. It will look at how the diverse communities of small-town Canada are evolving to meet the challenges of the 21st century. Canada's population has essentially doubled in a little over a half-century, but as one might expect from the country with the second largest land mass in the world, that influx of people hasn't been distributed uniformly. Add to that the frequent flow of young adults moving for good to metropolitan areas to pursue education and work, and many of the country's rural communities face significant demographic challenges. Fewer than one in five of us — 18.7 per cent — lived in a rural area as of the 2016 census, continuing a steady decline Statistics Canada has tracked for decades. Nearly 13 per cent more live in what are defined as small population centres, which can describe any community with more than 1,000 people but fewer than 30,000. The low population densities may suit those living in these communities just fine, but it also poses challenges for decision-makers and officials looking to keep those smaller locales economically sustainable. Beginning today, CBC News will present an interactive, multi-platform series called Transformation, which will look at the creative ways several smaller communities across Canada are adapting to these changing times. INTERACTIVE l Transformation: 'The people of resilience' in Bamford, B.C. Technological advances and the opening up of global markets have in many cases brought Canada's small communities "closer" to big cities as well as the rest of the world, but there's also been upheaval. The manufacturing base has shrunk in North America overall, while mills, fisheries and factory farms have closed in rural areas. Companies that remain often do more with less through technology or by necessity. The GDP produced in rural and small population centres is in line with their 31 per cent share of the country's total population, but their employment rate is about three percentage points lower, meaning this country's smaller communities are punching above their weight in the face of adversity. "Everyone here is extremely motivated, very skilled, very stubborn and we get things done ... that's for sure," says May Nazair, a manager with Zenabis, a marijuana producer with a facility in Atholville, N.B. Nazair is talking about her team's work in an emerging sector, but she could just as well be describing the resilience of rural Canada in general. CBC's Transformation series will explore several diverse communities to see how they're coping with challenges endemic to their region at a time when governments often emphasize fiscal restraint over funding research and initiatives that might benefit rural Canada. "If you know one rural community, then you know one rural community," to quote a recent report from the non-profit Canadian Rural Revitalization Foundation. Terrace Bay, Ont., a town of 1,471 located on the northern shores of Lake Superior, is one example. It was the proverbial one-company town, but pulp and paper are no longer as predominant. The community is now looking to fully leverage its natural beauty to attract tourists. Small towns can be disproportionately affected by the broad demographic trends that characterize the entire country, such as lower fertility rates and a greying populace, leaving some communities to grapple with the so-called hollowing out of their workforce. Out east, however, the challenge is sometimes less about finding people than how to make use of existing infrastructure and facilities. About 19 per cent of Canadians live in rural areas, but in Atlantic Canada that rate ranges from 42 to 55 per cent. In New Brunswick, 51 per cent of the province's population resided in rural areas in 2016, down just two percentage points from 30 years earlier. Transformation will examine the different paths taken by two villages, Sussex Corner ​and Atholville, which combined represent just more than 5,000 New Brunswickers. Throughout its history, New Brunswick's economy has been spurred by resource extraction, but the shutdown of a mine in Penobsquis in early 2016 cost hundreds of jobs and hit nearby Sussex hard. After the shock wore off, community engagement led to a series of potentially workable ideas, which led to senior governments funding feasibility studies and the hiring of an economic development officer. A proposal to convert a decommissioned potash mine into a source for providing geothermal energy for regional businesses is gaining traction. For many years, the northern village of Atholville, near Quebec, was best known for its pulp mill, but a former yarn factory is where hopes are high for a profitable transformation. British Columbia-based Zenabis has been wooed to town, refurbishing what is the company's second Canadian production facility, while signing deals to bring medicinal and recreational marijuana products to market. Any discussion of remote Canadian communities wouldn't be complete without exploring the resilience and entrepreneurship of Indigenous communities. Dr. Rob Greenwood of the Harris Centre of Regional Policy and Development in St. John's, who has studied rural transformation in a number of countries, says Canada is generally in good shape in terms of infrastructure and resources, but lacks a decentralized system in which regions have the ability to tax and move more quickly on plans. "Canada has the least capacity of the OECD countries to act locally," he says. But self-governing Indigenous communities can serve as a source of learning and potential partnership for those located nearby, he says. "There's a lot of good Aboriginal leadership in many of these places, investing in agriculture, education, and manufacturing, and I think across Canada there's solid examples of that." 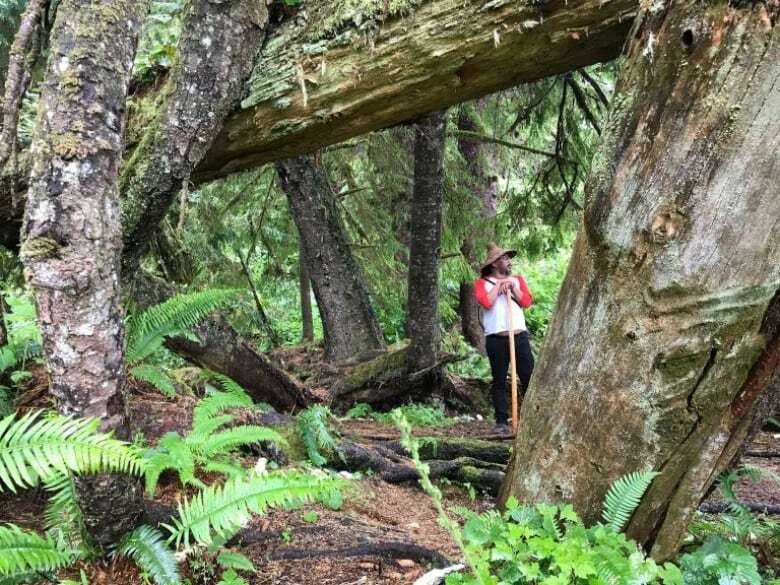 In Bamfield, B.C., a once-thriving commercial fishing community, the Huu-ay-aht First Nation is showcasing an ancient village as part of an ambitious cultural tourism plan. The Huu-ay-aht have purchased lodging and eating establishments, as well as an airstrip, a welcome development after an out-of-towner failed to deliver on his big plans for the Vancouver Island community. Says a member of the regional council: "It's really a sign of the Huu-ay-aht's commitment to the community and their future that they are confident enough to make that investment." Look for these Transformation stories and many more on all CBC platforms throughout July and August. INTERACTIVE l 'The people of resilience' in Bamfield, B.C.